Secure yard items before a storm. Make a list of items to bring inside in case of hurricane-force winds or flooding. This could be patio furniture, lawn decorations, tools, trash cans, planters, etc. Invest in storm-resilient building designs, which might include raising the level of your house for areas at high risk of flooding or installing a roof that can withstand high winds. Boaters and fishers: Pull vessels and fishing gear out of the water before a storm. If you're unable to remove the boat from the water, properly secure it. 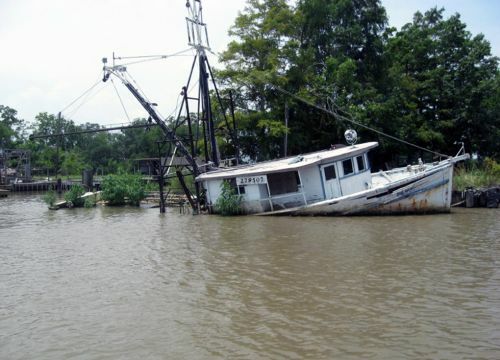 Dealing with the large number of abandoned and derelict vessels after a storm is often a complicated and expensive ordeal. As a result, we should try to keep boats from ending up in this sorry state in the first place. Unfortunately, finding a safe and secure location for boats during a storm proves to be a huge challenge for many along the coasts. A few areas do show promise in creating safe spaces for vessels during storms. One example is the Clean and Resilient Marina Initiative from the Gulf of Mexico Alliance, a regional partnership made up of the Gulf states. According to the alliance, "This improved program...provides additional recommendations to strengthen local marinas' ability to withstand natural and man-made disasters." The initiative offers best management practices for incorporating resilience and environmental responsibility into everything from the design and siting of marinas to strategies for evacuating them during a disaster. 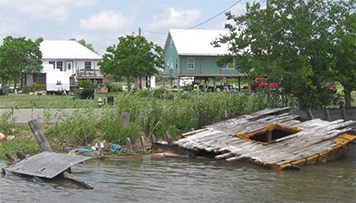 Another example is the concept of "harbors of refuge," which several organizations in Louisiana are looking to implement on public lands along the coast. A harbor of safe refuge is "a port, inlet, or other body of water normally sheltered from heavy seas by land and in which a vessel can navigate and safely moor." Providing resilient infrastructure able to withstand high winds and waters helps better protect boats, and offering these facilities on public lands creates opportunities for public funding to help pay for the upgrades or for salvage after a storm. The NOAA Marine Debris Program (MDP) is also taking a proactive approach to planning for disasters. In 2012, Congress expanded the program's responsibilities to include "severe marine debris events," which formalized their role in preparing for and responding to disaster debris. This was in the wake of the 2011 Japan earthquake and tsunami, and states were struggling to deal with the tsunami debris—from small boats to massive docks—washing up on U.S. shores. Furthermore, the massive storm known as Sandy had recently hit the East Coast, leaving its own path of destruction along coastal waterways. As a result, the NOAA MDP has started a proactive planning program for dealing with these types of large, disaster-related debris events. They began by working with the State of Alabama to develop a waterway debris emergency response plan and will now move on to work with other coastal states. 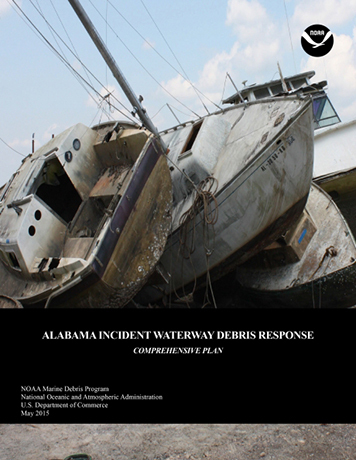 This effort includes both a comprehensive plan and field action guide which spells out information such as which agencies have authorities to remove disaster-related debris if it lands in a given waterway, as well as points of contact at those agencies. The plan is meant to be a broad, useful tool both for the NOAA MDP and the state in case of a natural disaster producing large amounts of debris. To learn more about how you can prepare for hurricanes, visit NOAA's National Hurricane Center at www.nhc.noaa.gov/prepare/, and read more about the NOAA Marine Debris Program's efforts at marinedebris.noaa.gov/current-efforts/emergency-response.